You can’t go wrong with this glamorous RSVP card with its regal golden pattern framing your RSVP message. 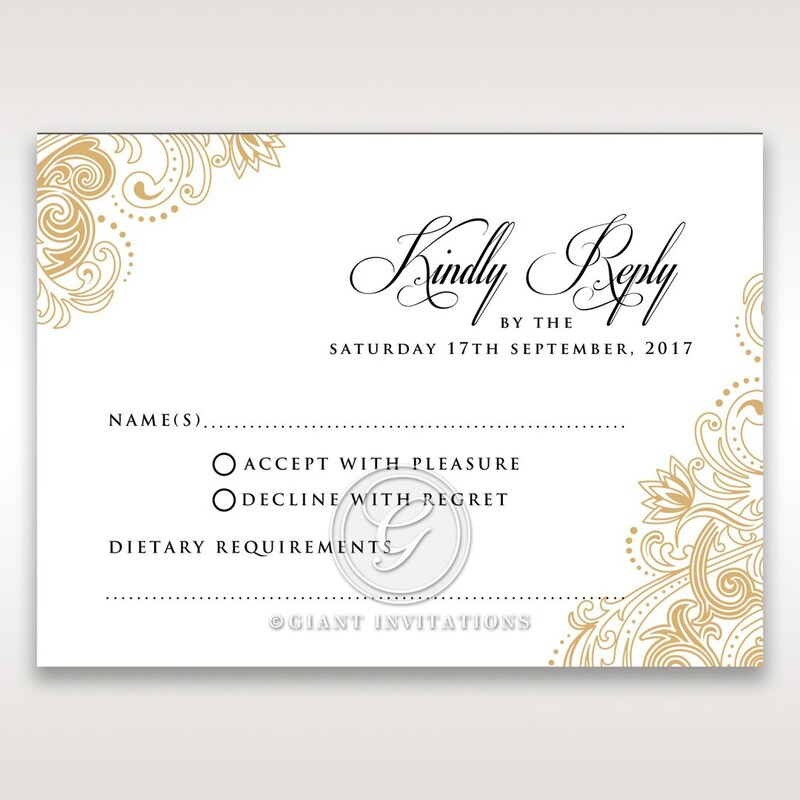 Though already exceptional in design, the luxurious thermographic ink used to achieve a raised embossed texture for your RSVP message heightens its sophisticated appeal. If you are looking to impress and set the tone for your special day, then this would be the best choice to make. 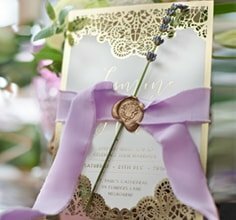 While complimentary envelopes are also included with this stationery, there are other matching enclosure cards you can choose from to pair up with this and your lavish invitation for a more cohesive wedding invitation suite. This invitation is so elegant it tied in well with our venue and us. We have had so many compliments from guests about the invitation. I loved how each of them comes in a set. Recommended to a lot of people for those who want quality, beautiful, delicate and customised invitations. High customer service who are quick to respond and oh so friendly! They are efficient in editing and to edits and changes.